There was a time about five months ago when Princess Piggy Poo had the whole day to herself. She had 12 hours to enjoy her solitude. She could stroll out of her hiding house, free to do as she pleased without a sudden movement scaring her back inside. Now Princess Piggy Poo can’t sniff without getting a whiff of me. She can’t stroll out of her cage and not see my silhouette 10-feet away. She can’t escape the sound of the lady tapping on the computer all day, every day. And, there’s absolutely no way for her to avoid my spontaneous showers of affection. It’s difficult to tell if Princess Piggy Poo is happy to have me home with her or if she prefers I give her some space. Some people say their guinea pigs squeak when they come home. Princess Piggy Poo never does that. She’s aloof. This weekend I had a few activities that kept me away all day. Princess Piggy Poo had time to be alone with her thoughts, listen to NPR and wait for the nightlight to be necessary. Sometimes we all need a break from our roommates. I hope she enjoyed my absence and that it refueled our bond, because I know a cavy that’s about to get her face kissed. 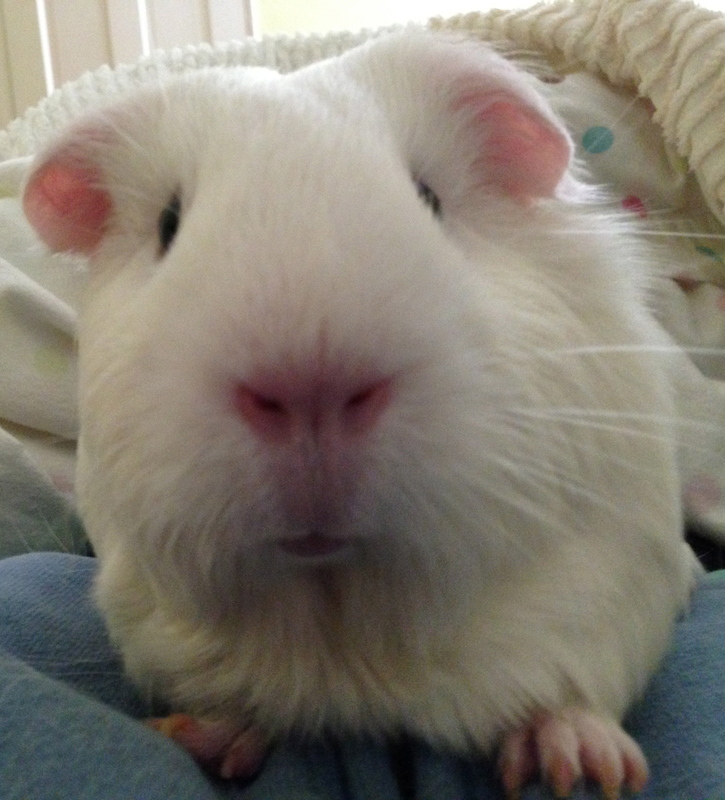 This entry was posted in Uncategorized and tagged cavy, guinea pigs, hiding house, princess piggy poo. Bookmark the permalink.